Presidential Debates: 7 Things that You Need to Know! AskDrO is an informative and empathetic platform that caters to the transformative nature of human interest. It is a platform that aims to spread news that is conducive to a knowledgeable and positive lifestyle. 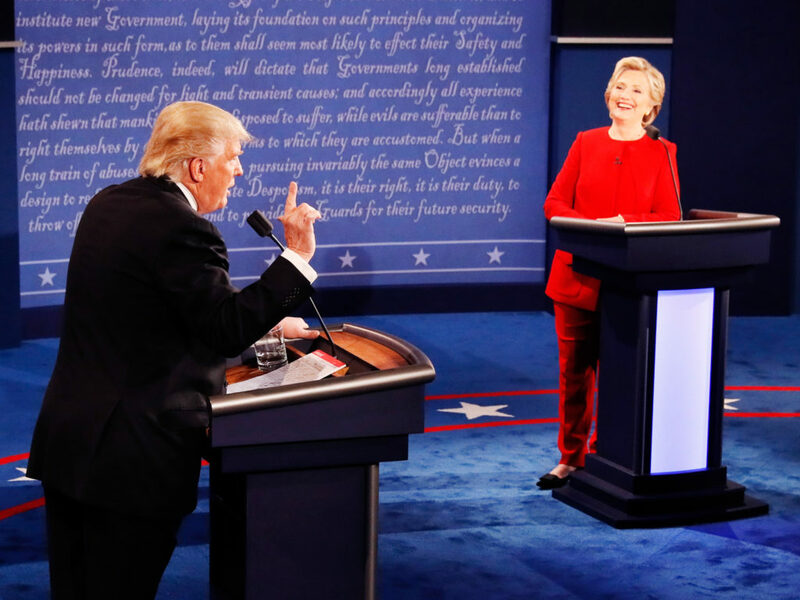 we feel it necessary to not only cover the 2016 Presidential debates, but to clarify some of the most defining moments that say a lot about our Presidential prospects. Moreover, this entire act of legislative competition is a call for immediate comparison between the two candidates. So here is a brief and once again, as unbiased as possible, recap of the first debate from last night. 1. When asked does he think Clinton is a good fit for President Trump responded, “When it comes to negotiating, I think she doesn’t have enough stamina.” The statement set a sexist tone for his entire evening. 2. When asked would they support the results of this election the candidates explained that they will individually continue to improve America. 3. Clinton brought up the fact that Trump hasn’t released his company’s tax returns and doesn’t plan to. The act suggests tax fraud and dishonesty in his everyday operations. His response to him possibly not paying taxes was, “That makes me smart.” Trump has had notable run-ins with the IRS concerning taxes over multiple decades. 4. Hillary claimed that Trump viewed climate control as a “hoax”. Though Trump denied his prior allegations of climate change being a figure of the Chinese’ imagination, he still didn’t express urgency on the detrimental issue. 5. Trumps’ shallow “Birther” movement responses, along with his sexist comments towards women undoubtedly put him in a whole last night. 6. Clinton directly referred to racism and injustice in the legal system. Trump stated that he has developed a good relationship with the African American community but didn’t speak to many specifics. Trump could be oblivious to how he has affected the African American community throughout his campaign. 7. The two debated on the future of international alliances. Clinton stated that our mutual partnerships will remain in tact to “keep Americas word good.” Trump stated that providing protection for other countries is costing our country millions. Ladies and gentleman, we MIGHT just be witnessing one of the most baffling Presidential elections in the history of the United States of America. Last night Trump exhibited a strong discernment for the emotional triggers of this country while it seems Clinton came well prepared. We encourage you to seek as much information on the two candidates and their goals for America. We urge you to make a decision as soon as possible. Voting has become absolutely crucial as this election will affect our everyday lives. Pay close attention to the following debates as they will be the most revealing moments for each candidate. Watching their intelligence, composure, and candor will assist greatly in making your final decision. Visit the link below and register to vote! Not now, but like, RIGHT NOW!